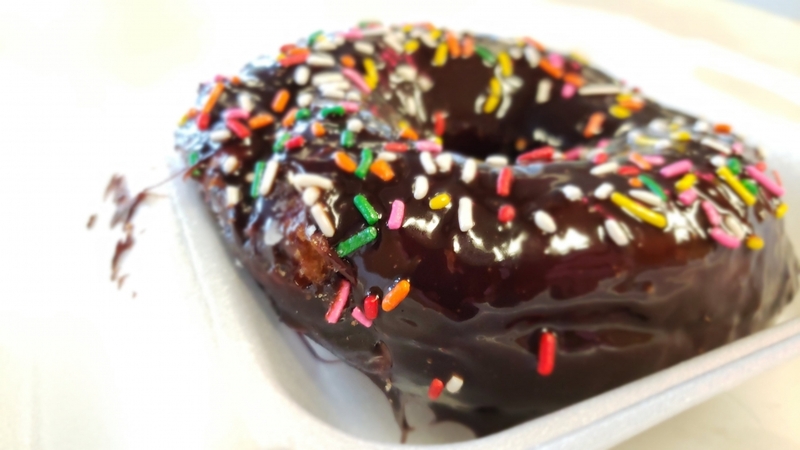 I’ll be honest in that I stereotyped Lanky’s Chocolate-Frosted with Sprinkles Donut. I had questioned the Google twice the morning I went to Lanky’s at 6AM. One was questioning the hours of operation as I thought Lanky’s was actually closed when Google said it was open. 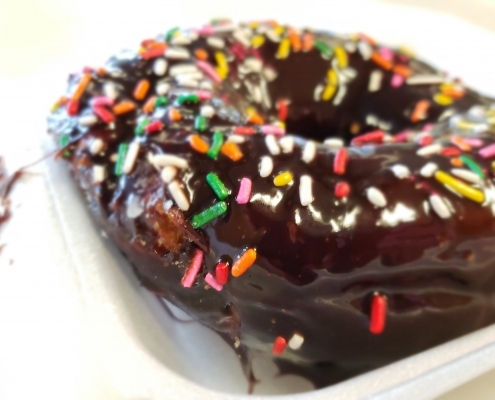 Second was questioning the quality of the Google reviews for Lanky’s donut upon seeing the very unassuming Chocolate-Frosted with Sprinkles Donut. 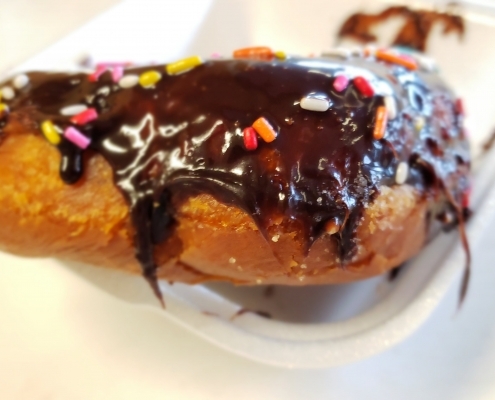 As I took my order and positioned the donut for its customary photo shoot, I was surprised by the donut’s very sticky frosting. I didn’t understand it. Why was it so damn sticky? Where is the napkin? How do I get the napkin that is now stuck on my fingers off? 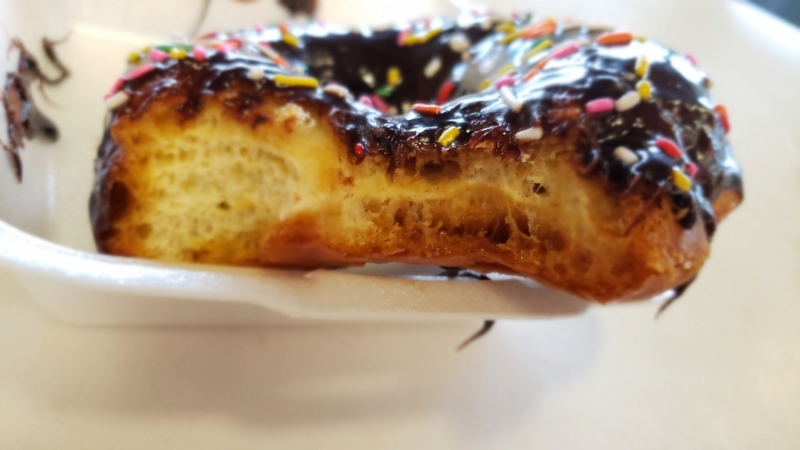 How do I take a picture of this donut without covering my phone in stickiness? I was full of questions that morning, apparently. 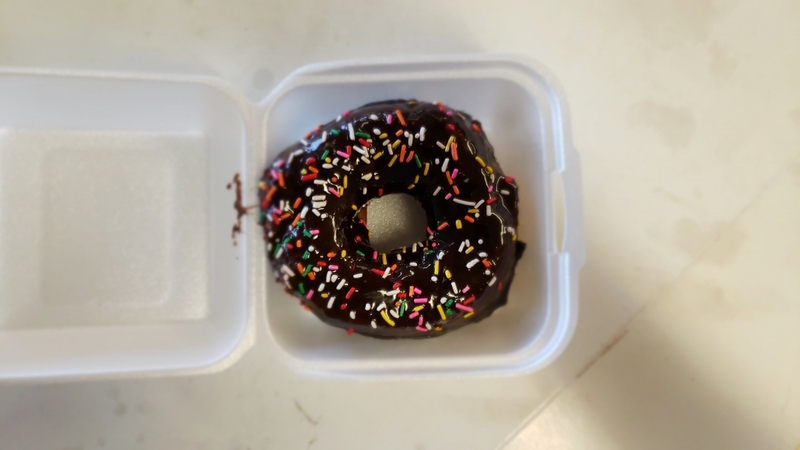 Alas, when it came time to take my first bite, I was pretty much assuming the regular fare of donut with thick breading and simple frosting; though, with the odd sticky frosting. But as I bit down, there was an unusual crunch to the outside. 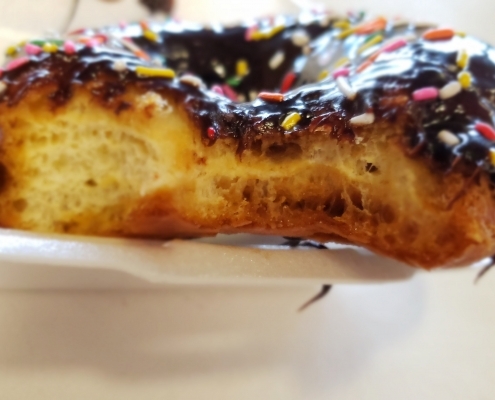 Then, as my teeth sank deeper into the donut, there was this soft center. Surely, my eyes grew as I was pleasantly surprised by this very contrarian turn of events. 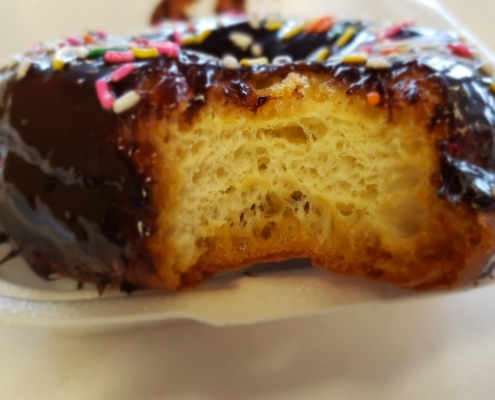 This donut had a satisfying crunch on the outside with a light dough center. 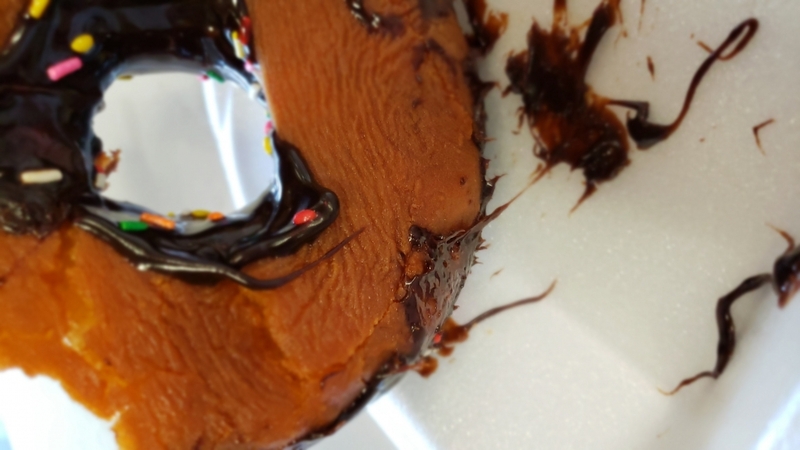 Then, couple this surprising texture with an oddly sticky frosting that was like made of honey. I didn’t and still don’t understand the basis of the frosting on what made it so sweet. My donut expertise is telling me some honey base. 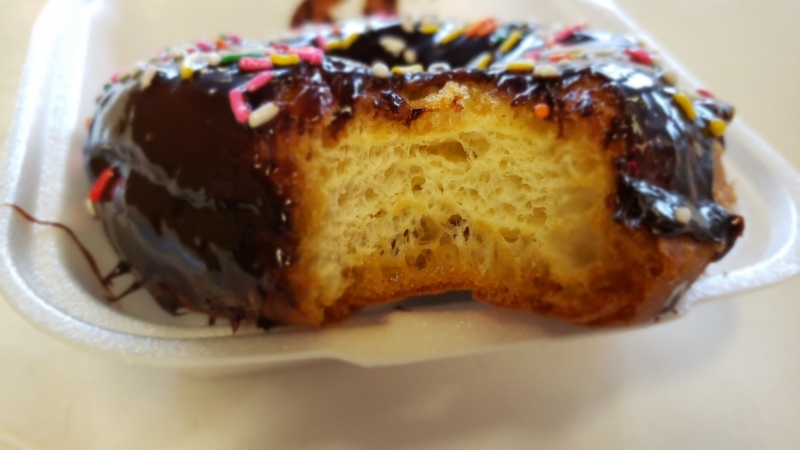 Meanwhile, I realized that the donut itself was so much like loukamades. Loukamades are the Greek version of donuts. Loukamades as made at the Greek Festival in Atlanta are served as donut holes and are covered in honey syrup. 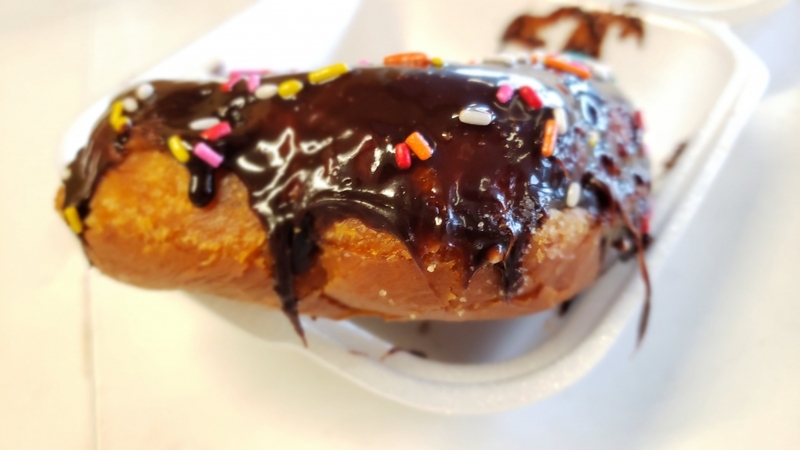 So this donut brought back memories of this Greek traditional donut but in a more traditional donut shape with chocolate frosting. 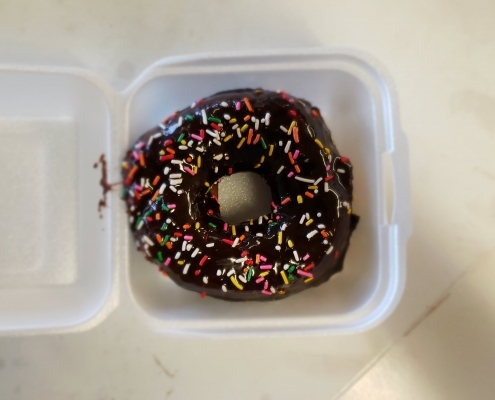 To my surprise, this was not a regular, big, boring donut. No. Instead, this was an exciting new taste that I very much enjoyed. This is a donut I highly recommend. 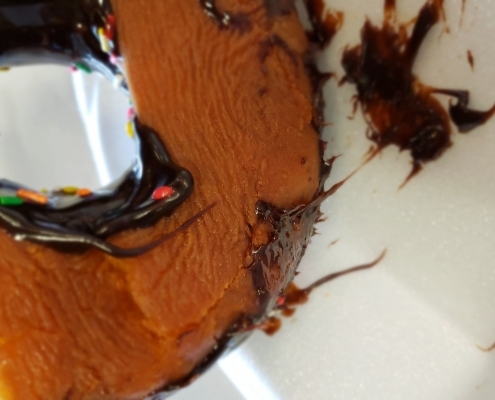 Where is Lanky’s Pastries (Hilo)?